Dressed with custom manufactured wrought iron forged and machined “Asiel” Handles and heavy “Brickel” hinges the doors enhance residences in Bridgehampton, South Hampton and Westhampton. The French doors are manufactured utilizing select grade, genuine Honduras Mahogany procured from responsibly controlled forests. 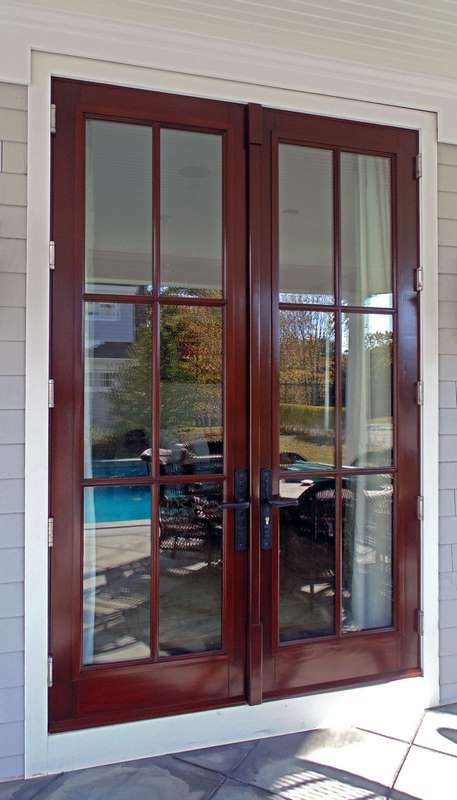 The French doors are a statement of fine design and excellence in wood craftsmanship. Since 1992, Sabana French Doors have enhanced residences across the United States and the Caribbean Islands. Finished with Sikkens high resistance UV protector ocean front Urethane. Glass: Impact resistant laminated insulated 1 ¼” thick.